Local SEO optimization is a must nowadays. It’s a great, effective way to promote your offerings to local prospects whenever they might be looking for them. With millions of people using search daily as well as ongoing initiatives like “Buy Local”, it’s necessary to have a targeted approach that will reach potential consumers who may be in the area. When half of the consumers who conduct a local search visit a store the same day, that’s a lot of opportunity for your business to capitalize on. In order to do that, you need to stand out and take advantage of all the “near me” searches you can. There are over 200 ranking factors that Google’s algorithm uses. While some remain a secret and things can change on any given day, this list of ranking factors from Backlinko provides a good overview of what Google is looking for. Essentially, it’s going to come down to relevance, popularity, and distance for Local SEO. While consumers are using other search provider services like Bing and Yelp to find nearby businesses to go to, the great majority of them are using Google. While I recommend optimizing and creating business listings on all of these platforms, focusing on Google is a good place to start from. As with any SEO strategy, there are multiple moving parts and building your Local SEO is going to take some time. Any good SEO strategy is backed by strong, deliberate keyword research. Identifying and using localized search terms that consumers are using is key. What you’ll look for when selecting keywords for growing your Local SEO Strategy is pretty much the same as any other time you’re doing keyword research. Just remember to look for targeted search terms that have a good volume of monthly searches and lower competition as well as what your competitors are ranking for. As with any other SEO campaign, employing best practices when it comes to URL naming structures is also another thing to keep in mind. Readability is so important - consumers (and the search engines!) should have a pretty good idea of what the page is going to be about. This is one place where you could potentially optimize for local by including the location/city in the URL. Title tags and meta descriptions are other areas of opportunity where you can use your localized keyword strategy. Just as you would with the URL, you can include the location/city in your title and/or meta description. This can help you show up in those “near me” searches, so you can grab the attention of those local prospects. If your business has a hundred or more locations, some of this may not be applicable to you but Moz has a great blog post with information on how to execute some great enterprise SEO. If you only have one or a few locations you need to optimize for, then read on! Another important aspect of growing your Local SEO is setting up and verifying your Google My Business page and other listings on platforms like Bing. Having a verified listing holds more weight than an unverified one, so it’s extremely important that the verification process gets completed. Another benefit of having control over your business listings on these platforms is that you’re able to provide accurate and up-to-date information, such as hours of operation. You want to make sure that consumers are able to visit during the listed hours. The most vital aspect of optimizing here is that you use the same name, address and phone number, or NAP for each listing. In fact, make sure any and all information is the same as much as possible every and any where you have a listing. A comprehensive listing, like a verified listing, holds more weight than one missing information, including pictures. While an appropriate keyword strategy and optimized business listings can certainly help boost your Local SEO, you can also engage with your audience through social media and reviews. People want to know what to expect from your business and are going to be looking at reviews. Buying decisions are going to be made based on what other people have to say about their experience with your business. Whether we like it or not, reviews do matter. Social media is another tool you can use to grow your Local SEO. Social media is a great way to share content and get connected to your audience. You can also make use of trending hashtags, geotags, and much more. Having the right social media platforms and using them effectively can help increase your visibility. Keep in mind that relevance, popularity, and distance are what it comes down to in regards to Local SEO. Schema, schema, schema! Schema markups can easily be added to your website. These let search engines collect information about your business more efficiently and better understand what you’re all about. This information can include product data, reviews, and phone number. They can really help boost your local relevance. There are various types of schema markups out there, so you can probably find one to use on pretty much any page. Not a lot of websites are doing more than the basics with these. With only about 30% of websites using schema markup, it’s another great opportunity for you to grab hold of those “near me” searches. You can use Google’s Structured Data Testing Tool to ensure that your schema markup is valid and implemented correctly. 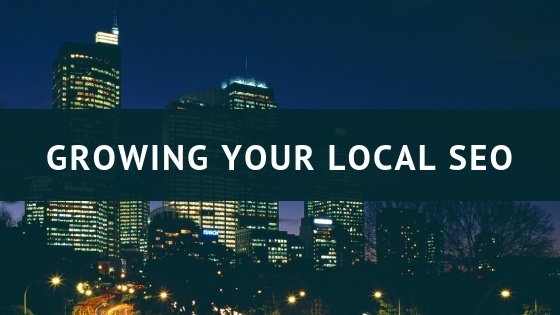 Local SEO may seem a bit overwhelming but it’s definitely worth the effort. Combining a focus keyword strategy with other tactics like schema markups and social media can help you better rank for those “near me” searches and better connect with your audience. Just remember to keep in mind that it can take time to see results, especially if you’re in a large market. Good luck! Linda wrote this article for Revenue River. We're a digital marketing and sales innovation agency in Golden, CO. We are recognized as a top Digital Marketing Company on DesignRush. If you'd like to explore what a local search campaign would look like with our agency, please click the link below to setup a consultation meeting. Linda graduated from the University of Denver and began her career in higher education. Craving an environment that would combine her interests in marketing and technology, she decided to make the switch and join the exciting and innovative world of digital marketing. When Linda isn't at Revenue River, she's off planning her next travel adventure. Copyright ©2019 Revenue River. All Rights Reserved.